After weeks of planning & surveying (via Instagram. Lols! 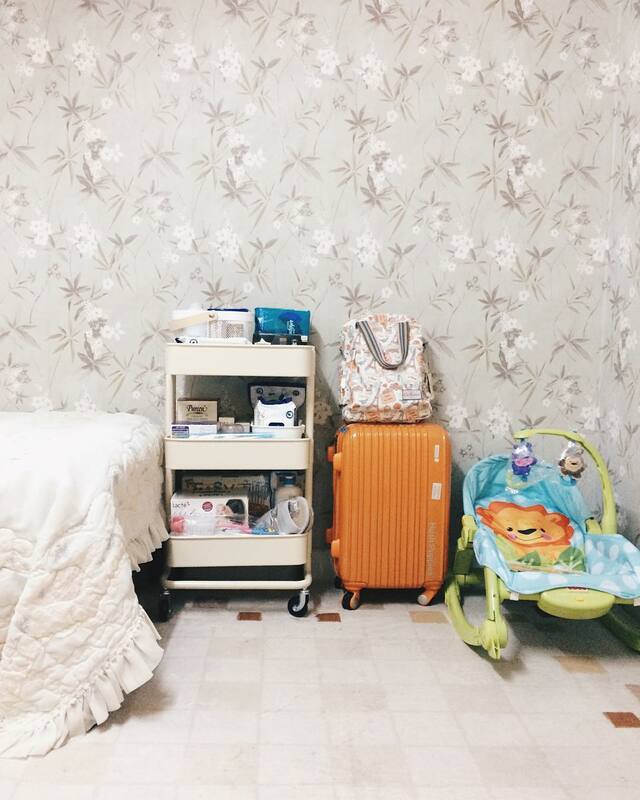 ), A.H & I finally managed to start on our 'Confinement Room' project when I entered my 31w of pregnancy which on 31/03/2017 (Friday). 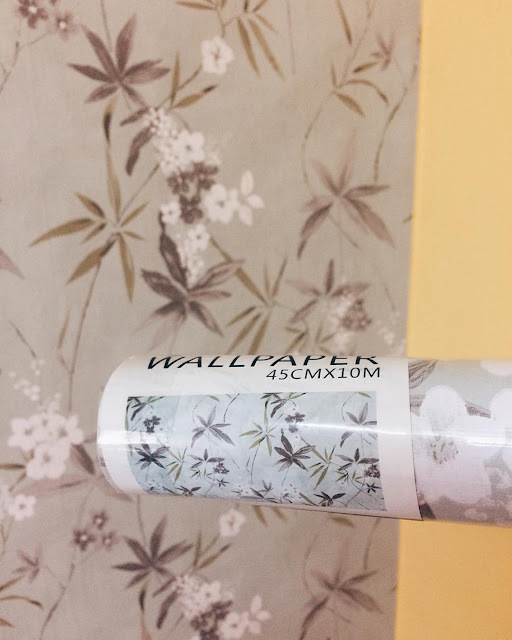 We started by installing the wallpapers which we bought from Kaison a few weeks earlier. 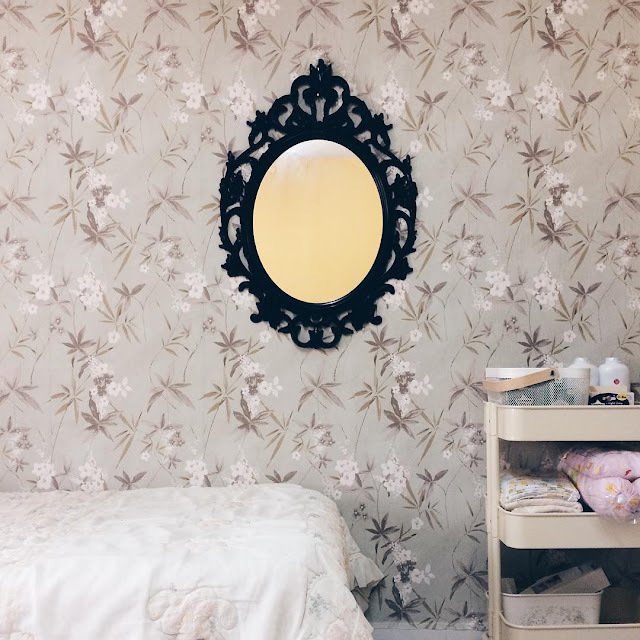 I always love floral wallpaper but haven't had the guts to have it installed in our bedroom. Takut menyesal & cannot tido menghadap wallpaper tersebut. But for the Confinement Room, I decided to give it a try & chose the less dramatic one. At least, if it doesn't turn out okay, it isn't my room ab initio. Lols! We decided to only cover 3/4 of the Confinement Room's wall (we needed 3 rolls of wallpaper) & another 1/4, we want to leave it bare in its original state but the yellow wall doesn't go really well with the wallpaper. Sakit mata sikit tengok but Alhamdulillah, Abah had painted it white. Lega hati sis. 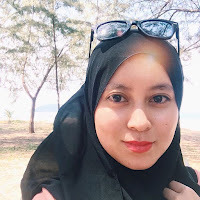 Rasa sejuk je tengok dinding putih tersebut. Hehe! The room is currently 80% completed. Alhamdulillah, we managed to cross most of the things out from our 'To Do List' except for installing a wall fan. Rasa macam tak perlu sebab stand fan pun dah okay. Not that I'm going to stay in that Confinement Room for 100 days. Lols!